Is there anything like experiencing the bountiful life of the Jungle? Well, without the bugs of course! 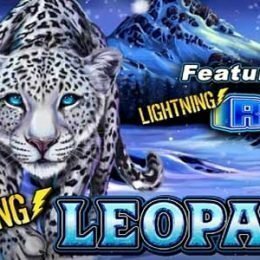 You can experience all of it in the wonderful 30-payline WMS Slots game, Jungle Wild! There isn't anything creepy and crawly in this game, just all things beautiful about jungle nature. 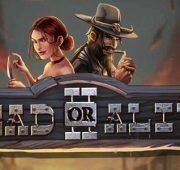 The game has a standard jackpot of 7,500 coins and bonus features that could see catch a case of Jungle fever! Is there anything like experiencing the bountiful life of the Jungle? Well, without the bugs of course! 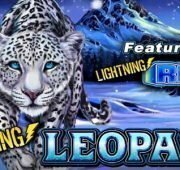 You can experience all of it in the wonderful 30-payline WMS Slots game, Jungle Wild! There isn’t anything creepy and crawly in this game, just all things beautiful about jungle nature. 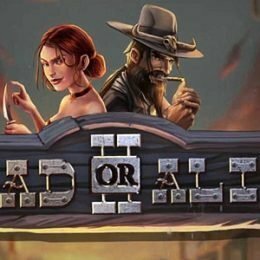 The game has a standard jackpot of 7,500 coins and bonus features that could see catch a case of Jungle fever! This game is beautiful from it’s symbols to it’s supplemental sounds to accompany the traditional WMS slot sounds. Symbols are bright and colorful including the Jungle Wild logo, a jungle temple, several medallions, a parrot, a monkey a butterfly and four different vibrant flowers. These are all set against the deep green shades of Jungle foliage. 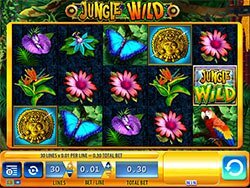 Jungle Wild Logo Wilds – The game’s logo is the wild in Jungle Wild and will substitute for all symbols except the Temple Feature symbol, to complete winning line combinations when possible. 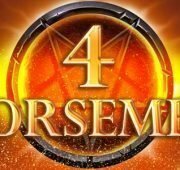 Temple Free Spins – The Temple symbols are the free games bonus feature triggers. You’ll need to land 3, 4, or 5 temples scattered on the reels to unlock 5, 7 or 20 Free spins respectively. 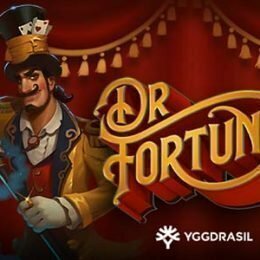 Other games offer more free spins than Jungle Wild but what this game does offer is during free spins, two reels randomly become wild with each spin! 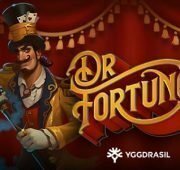 That makes these free spins incredibly valuable and well worth the minimal number.